Respect is an incredibly important word in the context of a relationship. We can hardly begin to imagine a happy romantic relationship without it. You may define respect in various ways, but most of us would agree that we know respect when we receive it and when we don’t. We also know that respect includes having your needs met and also being considerate of another person’s needs. A relationship without respect often feels wrong in your gut, whereas a respectful relationship feels energizing and uplifting. 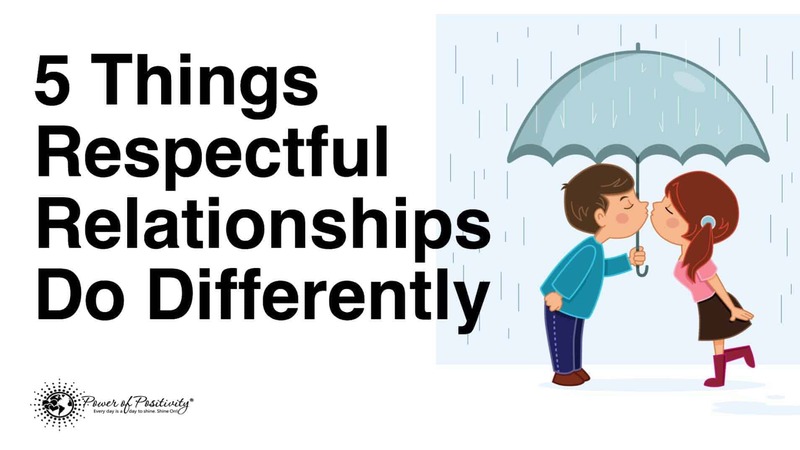 Whether you have a respectful relationship or are looking for how to build one, this list of 5 things that respectful relationships do differently is for you. Your relationship with your parents can also impact how you relate to a romantic partner. If your parents were not respectful and accepting, it is unlikely that you behave respectfully at all times toward your partner. Adults who struggle with having respectful relationships often experience ’emotional highs and lows, jealousy, and obsessive preoccupation with their partner’ according to a study of relationship quality in couples. You have your core values, which you should never compromise on, and then there’s the stuff that’s slightly less important. Within a respectful relationship, partners know that they have to act selflessly in order for each of them to be happy. Giving to get creates a win-win situation for a respectful relationship. Willingness to compromise is important to respectfully meeting the needs of two people in a relationship with different preferences, tastes, thoughts, feelings, and expectations. Our bond to another human being, romantic or otherwise, is based almost entirely on our ability to communicate with that person. Maybe you’ve said ‘I’m not a mind-reader’ to your partner before in anger over a misunderstanding. If you wait, your partner is likely to be resentful over you having saved up a laundry list of reasons that you are upset. Address each incident that hurts your feelings as soon as it happens and with kindness. Beyond saying what upset you, the next step is to ask your partner for how you would prefer to be treated next time. For example, ‘Honey, I wish you would have just told me that you prefer the other brand of coffee rather than telling me how much you dislike this one.’ A positive focus to communication with a partner is always a thing that respectful relationships do differently. How can you hope to keep the spark of interest alive in a long-term relationship if you already know everything there is to know about each other after a year of being in a relationship? Out of respect for the fact that your partner has different interests, tastes, and preferences from your own, make sure to keep at least one separate activity that your partner does not participate in. 1) While you do what you like to do, your partner has time to themselves to do what they like to do when they are alone. 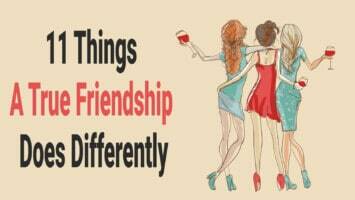 2) You’ll have done something that is a mystery to your partner and that will spark your partner’s interest. In a respectful relationship, you would never exclude your partner intentionally from your time away from them. Offer to include them, but be honest if you prefer them to not come with you. Before you met your partner, you had dreams of your own. Now you have together dreams. There’s nothing wrong with that as long as your heart continues to be fulfilled. When your memories of the dreams you used to have are bigger than the dreams you have now, you need to let your partner know. You deserve all the chances to be your most amazing self in life. If your partner does not see the same future as you do, however, you might find yourself faced with a difficult, but respectful, decision.